Just over 2,000 fans saw a lethargic and toothless Chesterfield bow out of the FA Trophy with a 0-2 home reverse against, Brackley, the current holders of the Trophy. The disappointing defeat was John Sheridan’s first since his recent return as manager and there was zero encouragement to take from a dour, unimaginative and confidence sapping performance. Brackley were good value for their victory and enjoyed the games best chances, with Jalal making a couple of good saves as well as conceding two goals. A tame header from Hollis and a shot from Reid represented the only meaningful forward play from the home side in a totally forgettable and inept first half. Poor play from Weston and Jalal saw Brackley take the lead on the 52nd minute, the impressive Ndlovu left with a simple tap in. Rowley had a chance to bring the Spireites level soon after the goal but he fluffed his lines and scuffed his shot wide when the net should have bulged. Substitute Lee Shaw injected some much needed pace and energy to Chesterfield’s play when he came on and he almost drew an equaliser, diverting Evan’s header goalwards, only to be denied by Lewis, who pounced desperately on the ball to keep it out. Brackley made it two on 72 minutes, this after Armson was alarmingly allowed through on goal and he took his chance well. Further efforts from the host’s Evans, Shaw and a couple of saved efforts from Dodds, may make the statistics look like Chesterfield rallied hard but the cold, hard truth is they were significantly off the pace and totally lacking ideas and energy from the start. 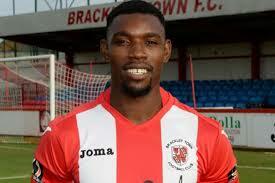 Brackley played with more desire, seemingly higher levels of fitness and they took their chances when they came. Sheridan will have learned a little more about some of his players today and the harsh reality is that several of them just aren’t good enough or hungry enough …. even for this level of football. Winning football matches requires professional pride, energy, determination, creativity and a little bravery. This afternoon, Chesterfield lacked all five key attributes and the glaring absence of any type of midfield playmaker in the squad was as evident and punishing as ever. 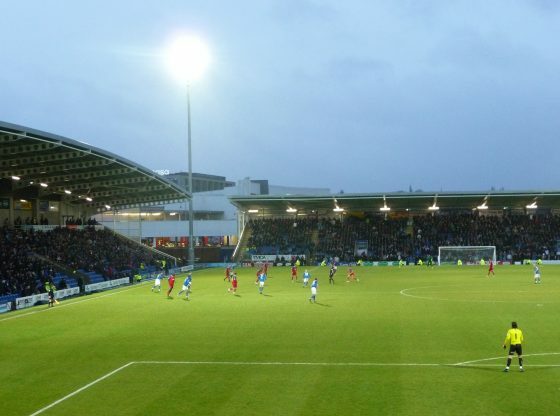 The game ended with a chorus of deserved boos for the men in blue and in his interview afterwards, whilst Sheridan seemed to share the fan’s frustration, he refrained from saying what he seemingly wanted with his main words ‘No where near good enough’ being appropriate, even though a huge understatement. Sheridan’s attention now turns to next Saturday’s home game against FC Halifax, a game which should see the first appearance from new signing Scott Boden. Let’s hope we are reflecting on a more committed performance in seven days time.